According to Premier Marbella news sources, building licence approval on Costa Homes has surged by 70% year on year. A report by Malaga province’s association of professional architects (Colegio de Arquitectos) has confirmed that there is now a sustained recovery in the Costa property market. The detailed report shows that plans for 4,154 new-build apartments or houses have been given their legal seal of approval in the first six months of this year, an increase of 70 per cent on the same period last year. Most of those new approvals have come in the last three months, with plans for over 1,000 properties given a green light in June alone. Leading Marbella property specialist Romano Keogh commented that there are noticeable changes in the style and designs of Costa Homes. The incorporation of ceiling to floor glazing and open plan living areas is very much in vogue. 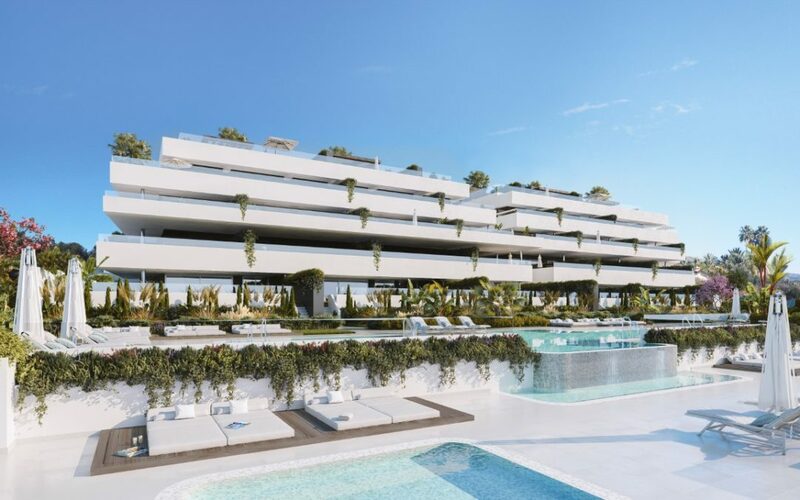 Many of the new developments sprouting up in Benalmadena, Mijas and Estepona have very modern architectural styling and use the very latest in high technology finishes.